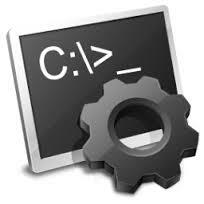 Batch file programming is easy to learn. you can make your own program with batch file. If you want to learn Batch file programing then just download the batch file programming by ankit Fadia. Ankit Fadia is an Indian independent computer security consultant and author. Fadia describes himself as an ethical hacker, and has written several books on the topic of computer security. To Download Click on the Following Button. This Book will help you to learn basic things about batch file programming. I have Created batch program with the help of this book. you can lock your File or folder with it. you can read about it Here.